I have many clients who ask me how to keep their morganite jewelry clean. Well, much like keeping your diamond jewelry clean, it is important to clean your morganite jewelry as well. 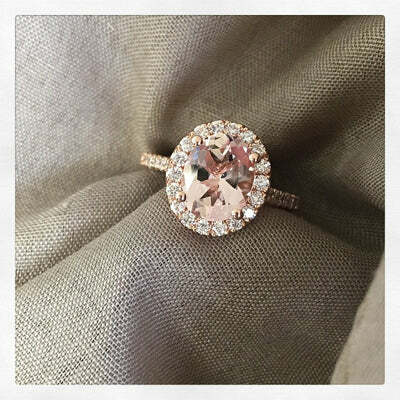 Morganite is a beautiful gemstone that if treated properly, will last you a lifetime! Always clean your jewelry away from the sink. The last thing you want is to drop the piece of jewelry down the sink. Also, if any gemstones are loose, they could fall out and go down the drain. Grab a large bowl to soak and clean your jewelry. Use warm water and a touch of mild soap and soak your morganite jewelry in this liquid. With diamond jewelry, we recommend other combinations with water but for gemstone jewelry, it’s safer to stick with soapy water. Use a soft toothbrush to clean around the piece of jewelry. Make sure to not just get the top of the morganite gemstone but also try to move the toothbrush gently on the underside of the gem. Gunk can get everywhere so be sure to get in all of the possible places. Rinse the piece of jewelry in a new bowl filled with just warm water. Be sure to get all of the soapy water residue off the piece of jewelry. Carefully dry the piece of jewelry. Repeat as often as you wish. Remember it is important to have your morganite jewelry inspected about once every year. These are helpful tips for keeping your morganite jewelry clean! Annual inspections are a great idea as well and really should be done. After all, the jeweler will most likely give the piece a professional cleaning. If you need further assistance or have any questions about cleaning your morganite jewelry, do not hesitate to call on us. Happy shopping!